Greg Alvarado possesses over 40 years of experience in the chemical, petrochemical and oil and gas industries. His roles have included positions as an owner operator, consultant, Chief Chemist, and Corrosion/Materials/NDE applications engineer. He has specialized in risk based inspection consulting, training, mentoring, RBI program gap assessment and project management since 1996. He is a 30 year member of the API Sub-Committee on Inspection, an original working member of the API group that created the recommend practices (RP 580 and RP 581, all editions) for Risk Based Inspection. Mr. Alvarado currently provides risk management, NDE technical consulting, and equipment lifecycle/fixed equipment reliability program gap assessments and consulting as a Principal Consultant with Trinity Bridge Consulting LLC. He has extensive experience working at plants and with central engineering. He has served as an invited guest speaker on creating sustainable reliability strategies for fixed equipment in the US, Canada, South America, Europe, Caribbean, Australia, Middle East, Asia, and eastern Europe and has educated regulatory agencies on important API practices such as Fitness for Service and RBI in the US and abroad. Greg was an invited participant/interviewee for the RAND study, New Forces at Work in Refining - Industry Views of Critical Business and Operations Trends (a critical look at industrial infrastructure as part of national security), copyright 2003. 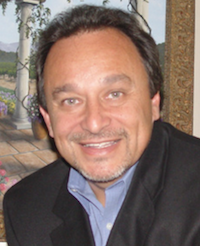 Greg Alvarado is also the founder and Chief Editor of Inspectioneering Journal. This article shares examples of where RBI work processes either broke down or were non-existent, or where the user did not fully understand the technology or overall RBI logic and the results. Whether you are implementing an inspection strategy based on RBI or traditional methods, work should be completed according to a well-defined plan. What are you doing to assure that work is executed as prescribed and that results are reported and acted on appropriately? Establishing risk targets is an important aspect of any risk-based inspection (RBI) program and is a requirement of API RP 580. Metrics and consistency are important considerations for those using RBI to measure and manage risks as part of their decision-making process. Inspectioneering Founder and Chief Editor, Greg Alvarado, recently had the privilege to sit down with Clay White, Director of Mechanical Integrity for Phillips 66 (Downstream), to discuss the world of fixed equipment reliability in the refining and petrochemical industry. Greg Alvarado discusses the concept of "risk in square feet per year", a powerful metric found in the API RP 581 Risk Based Inspection methodology. Understanding metrics such as this one will allow you to begin trending your risks, identifying best practices, and feel comfortable with the decisions you are making in your facility or corporation. We are headed into an era of unprecedented challenges when it comes to software and work process integration. The stakes are high for those who wish to seize the opportunity, especially early adopters and the early majority. Greg Alvarado explains the concept of RBI risk thresholds: "How much confidence do I need to have in what I believe to be the true damage state of the equipment?" Human factors, inspection effectiveness, and RBI all play an important role in running an effective asset management program. This article discusses how each is applicable to inspecting equipment in processing facilities. Asset managers need to know when repairs and replacement are required for many reasons, including safe operation, accurate budgeting, replacement planning, and on-going reliability. When predicting design life based on a simple, linear corrosion rate versus remaining thickness, metallurgical degradation, or crack propagation rates are often not accurate or realistic. Even if the models are good, things change. Design Stage Risk-based Inspection (RBI) - Can it be done? Key Performance Indicators or KPIs are important for businesses to track measurable progress, or a lack thereof, as compared to pre-defined goals or benchmarks. For those of us in the inspection, fixed equipment reliability world, the same holds true. Often the efficacy of our inspection programs is measured against such goals. A paper was presented at the 68th Conference of the Italian Thermal Machines Engineering Association entitled Updated Failure Rates and Risk Management in the Process Industries. It was presented in October 2013 by INAIL, an Italian insurance association. The presentation included a thorough analysis of generic failure frequencies used in various American, European, and other sources dating back to 1970. Three Approaches for Non-Intrusive Inspection of Spheres - How Effective is the Strategy? A question was posed to me regarding guidelines for routine external inspection of spheres, including procedural approaches along with any nondestructive examination (NDE). Here are two approaches to inspection of spheres, and a mixture of the two, as a third. 2013 was a year of introspection and progress for the process industries, largely motivated by recent (within the last 10 years) equipment failures and their consequences, some highly publicized. Discussions to allow the certification of three existing API recommended practices (RPs) without prior certification to API 510, 570, or 653 were held at recent API Spring and Fall Refining and Equipment Standards Meetings. Based in Houston, Young will be responsible for working with Willbros Regional Construction and the Professional Services' Integrity group to increase Willbros' share of the U.S. Integrity Construction market. We’ve been discussing Scalable Accuracy and its use related to Lifecycle Management technologies available to owner/operators. The last few topics have included Risk Based Inspection, Fitness for Service using Accuracy, the approach for Equipment Lifecycle Management and, to lay the foundation for proper thinking, making the case for Scalable Accuracy. We’ve been discussing Scalable Accuracy and its use related to Lifecycle Management technologies available to owner/operators. The last few topics have included Fitness for Service using Scalable Accuracy, the approach for Equipment Lifecycle Management and, to lay the foundation for proper thinking, making the case for Scalable Accuracy. In a continuation on the topic, this week’s blog will cover Risk-Based Inspection (RBI). This blog post continues our discussion from the previous posts on scalable accuracy. We started with a post outlining the steps prior to using scalable accuracy. Then we walked through the scalable accuracy approach to Fixed Equipment LCM. While I normally start with RBI when discussing scalable accuracy, it will be easier to use an example of Fitness for Service as our starting point. Continuing from last week’s blog, I want to go in depth into scalable accuracy for fixed equipment lifecycle management. In this post, I want to outline the scalable accuracy approach to fixed equipment lifecycle management. In the next few blog posts, we will be going in depth on scalable accuracy. This post walks through the thinking needed prior to initiating. Then we will discuss two technologies immediately available to plant operators for fixed equipment life-cycle maintenance: Risk Based Inspection (RBI) and Fitness for Service (FFS). In the last issue of Inspectioneering Journal, Marc McConnell at PinnacleAIS submitted an article discussing hydrogen bake-outs. This article was extremely popular among our readers, both of the printed copy of the Journal and our online users. In this post, I want to talk a little bit about fatherhood and what that means to me. This is a big departure from our normal content, but yesterday wasÂ Father’s DayÂ here in the U.S. and 75 other countries around the world, so I appreciate you indulging me. This post is the last in a series about Risk Basked Inspection (though, of course, this will not be the last time I discuss RBI). The earlier posts were on reasons for RBI, defining risk, and on managing risk. In this post, I want to talk about uncertainty, risk thresholds, and damage factor targets. This is my third of three posts on Key Performance Indicators (KPIs) based on requests and discussions on the issue. We are in the middle of our 2013 Asset Integrity Management Benchmarking Survey. The last Facilities Survey was held seven years ago, in 2006. Some aspects of this year’s survey have remained the same as before. This is my second of three posts on Key Performance Indicators (KPIs) based on requests and discussions on the issue. Â InÂ part 1 of this seriesÂ I provided a brief overview of KPIs and their ability to predict good, poor, and sometimes dangerous performance in our quests to achieve certain objectives and goals. Requests for key performance indicators (KPIs) related to equipment integrity management programs have appeared on Inspectioneering’s LinkedIn group discussion as well as other industry forums. It also came up numerous times at the recent API Inspection Summit. Three of my blog posts this month will cover this subject. A pattern of requests for key performance indicators (KPIs) related to equipment integrity management (IM) programs has appeared on Inspectioneering&rsquo;s LinkedIn group discussion as well as other industry forums. Furthermore, the topic came up numerous times at the recent API Inspection Summit. Performance is the key. As a chemist and an inspection and materials specialist, I was truly blessed to have so many wonderful mentors early in my career. Some I picked; some were picked for me, intentionally. In response to reader feedback, we implemented some important improvements in 2012. As we broaden our scope to include all aspects of Asset Integrity Management, its synergy and leverage become increasingly important. We will sustain this forward movement in 2013 by continuously seeking ways to serve the Inspectioneering community at maximum value, as you will see by the comprehensive Inspectioneering client survey soon to launch. The question of how to set risk targets is a logical one and should be addressed prior to or in the very early stages of RBI implementation. This article will guide readers through the basic elements required to address this question within an organization, as all companies do not have the same risk philosophy and can adapt these elements to fit their own. Development of shale requires the utilization of numerous types of fixed equipment. Due to the high cost and risk associated with hydrocarbon production and processing, E&Ps must continue to manage cost-effective and safe fixed equipment programs. Are the fixed equipment integrity management challenges related to shale development different from the current challenges faced in the upstream oil and gas business? The various factors of the challenge, e.g. creating effective and then efficient inspection strategies, are at the crux of the decision process. Within each of these factors are questions that must be answered. The answers should be well thought through and provided as part of your risk-based inspection analysis process. The original article on scalable accuracy which laid the groundwork for the concept was published in the March April 2011 issue of the Inspectioneering Journal, entitled Scalable Accuracy, Key Roles of Risk Based Inspection and Fitness for Service, Equipment Life-Cycle Management Process. This article is reprinted immediately following this article for ease of reference. Leaks or spills over the life of nuclear power plant operation can lead to undesirable consequences. The nuclear industry&rsquo;s GroundwaterProtectionInitiativeandthelessonslearnedand experiences gained from implementing groundwater protection programs have led to the development of another voluntary industry initiative, the Underground Piping and Tank Integrity Initiative, which aims to better understand the conditions of and mitigate leaks from these components. Two technologies, immediately available to plant operators for fixed equipment life-cycle management are Risk-Based Inspection (RBI) and Fitness for Service (FFS), two best practices that optimally work together or can standalone. Both have abilities of scalable accuracy. It is important to preserve as accurate an account as possible if we are to learn from the past. I believe it is important to protect ourselves from ourselves from rationalizing the past to justify movement toward "rationalization of abnormalities", as explained by Mr. Don Holmstrom from the US CSB, appearing in paragraph 21 of the copy of the presentation given by the US Chemical Safety Board to the BP Independent Panel, headed by James A. Baker III, former US Secretary of State. This presentation immediately follows this article. Each paragraph is numbered. These paragraphs will serve as references further in this editorial. It has been over 3 years since the fatal blast at the BP Texas City Refinery on March 23, 2005, where 15 lives were lost, more than 170 people injured and survivor's lives changed forever. Historical memory can be an odd thing. The following is an interview with Scot Haines, (Corrosion Engineering Advisor). The IJ wishes to thank Scot and the Hess Corporation for taking the time to share with the "IJ" community. Do we know how to free ourselves from the current level of thinking to rise to a higher level? It will take this for us to overcome many of our current challenges in the arena of equipment reliability. Over the years many in the oil and gas and chemical industry inspectors, engineers and managers have asked, "What happens at API meetings?" With the important regulatory and business initiatives in place and developing it is a good time to answer that question. Where Do I Set My Risk Threshold? This is part 2 in a multi-part series. Part 1 set the stage in explaining the basics of RBI. As I am most familiar with API Base Resource Document 581, I will continue to use this technical basis for this article. An earlier version of this updated article appeared in the January-February 1998 issue of the Inspectioneering Journal. It is hard to believe that nine years have passed so quickly. Fortunately the industry, as a whole, has learned much and technologies have advanced, in the interim. Unfortunately, in that time period plant infrastructures have aged and equipment has failed, sometimes with catastrophic results. Some failures were directly attributable to damage mechanisms and fixed equipment reliability program weaknesses. Often times related, we have seen, what appears to be breakdown in management systems, in refineries, chemical plants and exploration and production areas that lead or contributed to or enabled equipment failure 1, 2, 3 . On the other hand, organizations like the API (American Petroleum Institute) RBI User Group, API RP 579 Fitness for Service Committee, API Subcommittees on Inspection and Corrosion and Materials continue to move forward, desiring and acting to improve the effectiveness of fixed equipment reliability programs via implementation of sound risk based inspection technology and the creation of excellent supporting reference documents like API RP 571 on damage mechanisms. These committees continue to improve their codes and respective reference documents as do other organizations in various countries, such as NACE, EU CEN documents, the HSE, ABSA (the Alberta Boiler Safety Association), ASME, Australian authorities, the state of California and others too numerous to list. Risk-Based Inspection Case of Histories (Part 1 of 2): An Interview with Sean Johnson, Pressure Equipment Integrity Assurance Engineer for the Shell Martinez, CA Refinery. The Shell Martinez Refinery has been in operation since 1915, and is located 30 miles northeast of San Francisco on about 1,000 acres of land. The refinery combines state-of-the-art facilities and equipment to convert approximately 165,000 barrels of crude oil a day into many products including automotive gasoline, jet fuel, diesel, petroleum coke, industrial fuel oils, liquefied petroleum gas, asphalt, sulfur, and lubricants. The Shell Martinez Refinery has grown into a sprawling yet efficient assemblage of sophisticated processing equipment; modern control rooms; environmental protection facilities; shipping and receiving terminals for marine, rail, and truck cargoes; maintenance shops; office buildings; quality assurance laboratories; storage tanks; and warehouses. In some ways it resembles a small city with its own utilities, medical facilities, and fire department. The deadline for submission will be extended through the end of 2006 and we will update and report on the results at least one additional time through year’s end. We are happy to announce the 10-year anniversary of the inaugural issue of the Inspectioneering Journal! The "low hanging fruit" has been harvested in most places. Now comes the challenge of gathering the most bountiful harvest, that which is amongst the leaves and branches, without harming the tree. This will require practical expertise. This will require computational models that narrow the scatter band and are more accurate that are asking the right questions (which requires practical knowledge, technical knowledge and experience = expertise). In this editorial, I will point out some of the pitfalls I see in the inspection and reliability arenas and present some insight and solutions that will help "IJ" readers stay on track and emerge more successful as a result. Considering Buying Linked Inspection Database Management and RBI Programs? Data management is an important issue in today's world. We have data all over the place. Every manager is looking for ways to migrate data from platform to platform to save on the cost of re-gathering data and ways to share output from various platforms to better schedule and coordinate activities. In the early days (circa 1988-1991) of introducing the petroleum refining and chemical industries in the US, to the idea that RBI implementation could be valuable many fell into the trap of focusing on how much money could be saved, to the exclusion of risk mitigation. This led to some unfortunate misconceptions that led to misapplication that led to dead ends in how to evergreen or maintain effective RBI programs. It is important to "get back to basics", with an improved perspective, based on experience, of where the evolution of the RBI process is leading us. "Low Hanging Fruit" and "Step Change" are analogies that have been bantered around in our industries for some time. Picking the low hanging fruit is just the beginning and something that most passersby can glean. Also, real change that affects an entire organization, change that lasts, does not happen overnight and usually involves a combination of education, mentoring and recognition, appreciation and understanding of the limitations, resources, potential and culture of/at the various levels of the organization. Low hanging fruit is the easiest to see and pick, but what about the vast amount of fruit that resides amongst the leaves and branches? That is now the challenge of our industries. This is where the greatest harvest lays. Why have change and greater rewards been so difficult to realize? I believe there are many reasons, such as a lack of mentoring, a lack of appreciation and understanding of the limitations, resources, potential and culture of the various levels of the organization. There are many aspects to successful, effective and efficient implementation of RBI 1, such as; - Data collection - Operations data - Mechanical data - The role of inspection histories and inspection planning - How much data do I really need to perform a study - Data sensitivity - Use of assumptions - Training - Procedures - Documentation - The RBI team - RBI technology basis - RBI codes and standards This article will focus on, "the role of inspection histories and inspection planning". The large LNG facility is located on DAS Island, offshore of Abu Dhabi, in the Persian Gulf and experiences extremely high humidity year round. These conditions are known to produce a high potential for external corrosion and under insulation corrosion of carbon steel and mild steel alloys. If chlorides are present, which can drift from seawater, and are sometimes present in insulation, there may be a potential for Chloride Stress Corrosion Cracking (Cl SCC) of austenitic stainless steels (SS). The Alberta Boilers Safety Association (ABSA) issued the requirements document, Risk Based Inspection Programs for Pressure Equipment, in March 2001. This document defines the minimum requirements for the development and use of risk based inspection (RBI) to manage the safety of pressure equipment operating in Alberta. John has primary responsibility for NDE consulting and troubleshooting for BP around the world in the refining, chemical and gas processing industries. We at the IJ thought it might be valuable to spend some time chatting about his background, challenges he has faced recently and what he feels are some of the biggest challenges ahead for the Inspectioneering community. We have discussed various factors that can affect the reliability of NDE techniques (i.e., probability of detection - POD and sizing accuracy) in Part 1. In general, it is difficult to quantify these uncertainties. In fact, it is impossible to fully quantify the uncertainties in NDE results. However, one can achieve a higher level of reliability by reducing or minimizing the uncertainties. We will discuss some of the steps one can take to minimize the uncertainties in NDE results. By minimizing or reducing the uncertainties in NDE results, FFS assessments can be less conservative, and thus provide more margin to the serviceability of the equipment. A typical risk based inspection (RBI) analysis should include past inspection results, tempered by confidence in those results. For example, API's (American Petroleum Institute) RBI methodology and software when calculating the likelihood of failure side of the risk equation asks for past inspection histories. This includes dates of past inspections for potential damage mechanisms, the effectiveness of those inspection techniques to find the anticipated damage and amounts of coverage. Via this logic, the program constructs a factor to represent the probable damage population scatter band and multiplies this times the entered corrosion rates, cracking susceptibilities or bulk damage rates. In part 1 we covered: - Evolution of the emergence of advanced NDE - External and internal motivators to develop more effective inspection programs - Risk based approaches - Sources of industry reference materials - Setting the Course - Why Inspect - Metrics for inspection program progress - Role of Risk Based Inspection I will now cover some of the remaining key aspects in assuring healthy evolution of the equipment integrity process. Inspectioneering caught up with Dave Wang at the American Petroleum Institute’s (API) Spring 2001 Refining meeting in Atlanta, Georgia. We spent some time, near the pool at a break between meetings, discussing Dave’s background, experiences and the future of NDE from his perspective. We've come a long way since my introduction to plant inspection processes in 1975 and certainly since the industrial revolution in the late 1800's. As I recall from history class it was the intent of the wealthy industrialist to make money, plain and simple. Safety and environmental responsibility were not the primary concerns, in some cases not concerns at all! Hence, for safety's sake, terms like "sweatshops" were coined. This was to connote factories and textile mills where human beings, often times young children worked, in poor conditions. Firstly, I want to thank the inspection/materials engineering/ corrosion department manager, Giovanni Graziani, for agreeing to my visit and for sharing experiences with the Inspectioneering Journal community. The hospitiality of Giovanni, two of his senior area inspectors, Alessandro Grassi and Sauro Benini and Edy Sgherri their IT forgotten, nor the excellent food and espresso in the cafeteria. In part 1 of this series the importance of keeping the RBI process as simple as possible was stressed. Software, consequence and likelihood issues were covered. Consequences were handled directly while likelihood issues were covered in discussion on damage modules and qualitative versus quantitative sections. Hundreds of risk based inspection analyses have been completed by contractors and owner users worldwide, by now. Much is being learned as the various approaches gain acceptance. This editorial is only one perspective built upon the experiences of many. Here are some of my observations based on numerous discussions with owner users and involvement in over 30 projects. This learning is from plant operators who have taken the RBI "plunge", after they have had time to think about their decisions and direction, using various software products. Some owner user answers are included and will be identified as such. In addition to the questions in part 1, I included a listing of some generic families of RBI tools or approaches. There are many analysis tools available in the market that lay hold of the "RBI" claim. I wanted to bring you, the reader, "up to speed" on some of the available technology based on my experience as an RBI project manager, client manager and member of the American Petroleum Institute committee and working group compiling the RBI Recommended Practice 580. I have observed through literally hundreds of discussions and reading numerous articles on risk-based approaches that at least one potential business pitfall is appearing when owner-operators choose to begin with a "Level 1" (very qualitative) approach. They may not have the confidence to take advantage of re-allocating resources from the "low" risk equipment to the "higher" risk equipment. Inspection to determine mechanical integrity is important to verify that equipment is suitable for intended use, i.e. to prevent or minimize the consequences of catastrophic releases of toxic, reactive, flammable, or explosive chemicals as required by OSHA 1910.119 - Process Safety Management of Highly Hazardous Chemicals (and other jurisdictional codes). The Environmental Protection Agency (EPA) issued the report on this catastrophic failure that involved two storage tanks in a Pennsylvania refinery. The report issued March 20, 1998, stated that while both tanks had roof replacements since their initial construction, no further information was available about routine inspection or maintenance procedures. There is a potential for misconceptions about terms used regarding risk by non-risk management professionals. Understand that some risk is unavoidable. We can attempt to minimize risk to any extent desired, but without an effective process that addresses all the parameters we consider important it is more likely our level of effectiveness will suffer. There is more to these considerations than the likelihood of failure, which most inspection, materials and corrosion specialists understand. Risk Based Inspection (RBI) - What's Best for You? The amount of serious questions regarding the various technology options for implementing an effective RBI program is growing by leaps and bounds. I, for one, have seen many forms of what various organizations refer to as RBI. Remember that there are to the Risk equation, i.e. likelihood or probability of failure and consequence of failure. The effectiveness of the RBI tool is highly dependent upon algorithm design, especially parametric considerations and their relative effect on one another and your objectives. "The times they are a changing." Our business paradigm is going through tremendous changes, as most of our readers can attest to. Look at the mega-mergers looming and happening in the petroleum business along with the tight margins most of them operate on. The API-570 Piping Inspector Certification Program is nearing the end of the grandfather period. Five hundred thirty-one (531) inspectors have been certified to date under this provision, which will remain in effect through November 15, 1996. "Inspection and testing procedures shall follow recognized and generally accepted good engineering practice," can mean many things to many people. Fortunately, organizations like API, NACE, ASME, etc. have taken the initiative in establishing many of these practices for decades. We all have a responsibility to perform the best job we can for our employers/customers. That is why I am sharing my thoughts with you, my clients, the Inspectioneering Journal readers. In 12 years of being on the owner/user side of the fence, as a chief chemist for NL (National Lead) Industries and a senior member of the materials engineering and corrosion staff for Monsanto Chemical Company, combined with another 9 years in the role of marketing, consulting and sales of NDE and engineering services to the process sectors, I have seen where we often become our own worst enemy. Yes, I mean either as the service provider or the client. If it's glass-lined, chances are the environment is very corrosive to most metallics. In general, once the glass lining is breached, through-wall corrosion doesn't take very long. An effective maintenance, operation and inspection program will go a long way in minimizing this possibility. So You are Considering On-Stream Inspection Technologies... Have You Thought it Through? Never have I known or read of anyone, who sought out wisdom, to regret it, nor to help but benefit from it. Wouldn't you agree, wisdom recognizes, holds onto, operates out of and values timeless, tried and true principles that can be, and should be applied to any and every area of our lives? Most inspection companies, including those who dabble in engineering, today, go about things in much the same way as they have in the last five to ten years. Some offer routine services at bargain basement prices. Others provide high tech services like AUT and AE, at a premium. Another group of companies attempt to merge the two.